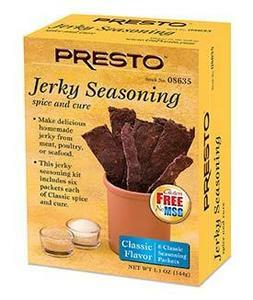 Includes six packets each of Classic flavored spice and cure. Enough to season six pounds of meat. Seasoning is gluten-free and contains no MSG.